The Monterey Company understands the magnitude of what you are accomplishing when you put on a sporting event, and consequently, strives to provide the type product that reflects such an accomplishment. We use the highest quality materials and the industry leading equipment, and combine it all with years of experience from our talented and inspired staff. Whether it be for a 5k, a marathon, an Iron Man, or a Spartan race, the Monterey Company is your one-stop-shop for all of your race medal needs. Organizing races and sporting events is a challenge. But bringing people together, promoting physical fitness, encouraging wellness, and helping set and meet their goals is important. Work with us in creating custom race medals to give your participants the, “congratulations” they (and you) deserve! Organizing an event is an arduous task, but when you see the smiling, exhausted faces of the finishers of your biking, running, or triathlon races, you’ll know that putting on an event that promotes health, wellness, and competition within your community is an entirely worthwhile endeavor. And because participants spend months logging miles, swimming laps, and scanning the Strava accounts of their prospective competitors leading up to your event, rewarding their efforts and commemorating their experiences by providing custom race medals is nothing less than appreciated. When your participants cross their finish lines, accomplishing the goals they had set for themselves, and feeling the elation that comes from achieving something they set their mind to, you can revel in the fact that you cultivated such an unforgettable experience for the people participating in your event. And when they hear their names called and you hand them their finisher medals or custom race medallions, you can be confident you are handing them something that they will cherish for the rest of their lives. You’ve spent hours coordinating race routes, planning starting and cutoff times, booking time-keeping companies, and organizing the nearly endless facets making up an event, that the last thing you need is for building your custom race pieces to be complicated. But when you work with the Monterey Company, we involve you in the designing process, guiding you through our multitude of customization options, and bring your design or your ideas to life in an efficient and cost-effective way. You’ll start by sending us your design, logo, or elements of the race you’d like to incorporate into your sports medal, and one of our professional artists will begin putting it all together in a cohesive and aesthetically pleasing fashion. From finalizing your design, our staff will walk you through a variety of customization options including the type of base metal you’d like to use, whether or not you’d like in inlay colors or textures, and if you’d like the metal to have specific shapes, thicknesses, or plating. Once your design customization is finished, we can send you a complimentary proof of your medallion, ensuring you are getting exactly the product you seek. From there, your design is sent to production, and within weeks your custom race medals will be shipped to your location. What Kind Of Races Do We Make Medals For? Running events are some of the most common races in which participants receive commemorative pieces, ranging from first, second, and third place finisher medals for different age groups to participation and finisher medals, rewarded to anyone who participated in your event. These pieces can be some of the most sought after elements of an event and are often kept as keepsakes and reminders of a job well done. 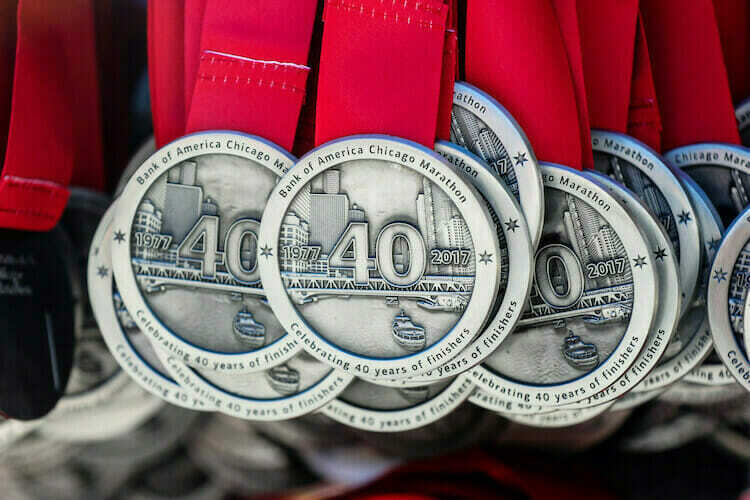 Running race medals are perfect for any event, most commonly as 5k race medals and marathon medals, but can be customized for as any running race medal you seek. 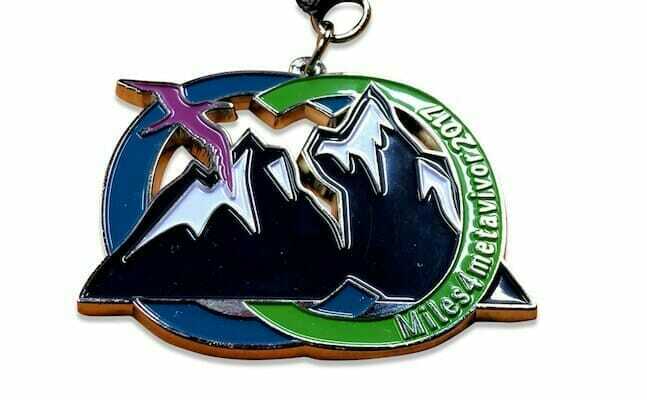 Whether your competitors are elites or casual participants, are pavement pounding road runners or single-track trail runners, all of your participants will surely cherish their custom medallions, regardless of the type of runner they are. Multi-sport races are the perfect events to incorporate custom finisher medals, as they celebrate a person training for and completing several disciplines. This requires dedication and resolve, making being a finisher particularly worthy of recognition. Examples of multi-sport races for which the Monterey Company has supplied race medals are Sprint, Olympic, Ironman, and Xterra distance triathlons. These pieces have been customized by the event sponsor’s logo and design, and have been awarded for everything from placing in the race to finisher medals. 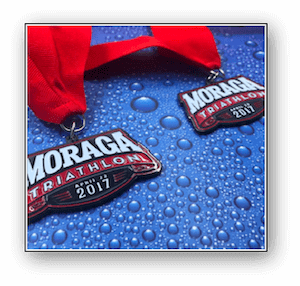 And as you work with a professional designer throughout the entirety of the custom medallion production process, collaborating with the Monterey Company is the best way to build your triathlon medals and your Ironman medals of all kinds. Bike races are some of the most prevalent races in which people participate, drawing in large crowds of athletes to test the limits of their physical and mental capabilities. And because of the large variety of bicycle types, styles, and races, awarding participants with custom bike race medals is an excellent way to commemorate a specific event, the likes of which finishers will hold onto for the entirety of their lives. Capable of making everything from road race medals to mountain bike races, and from criterium and stage-race medals to USA cycling leveled events, the Monterey Company is an industry leader in the production of custom medals and medallions. Work with a member of our talented staff and begin designing your bike race medal today! 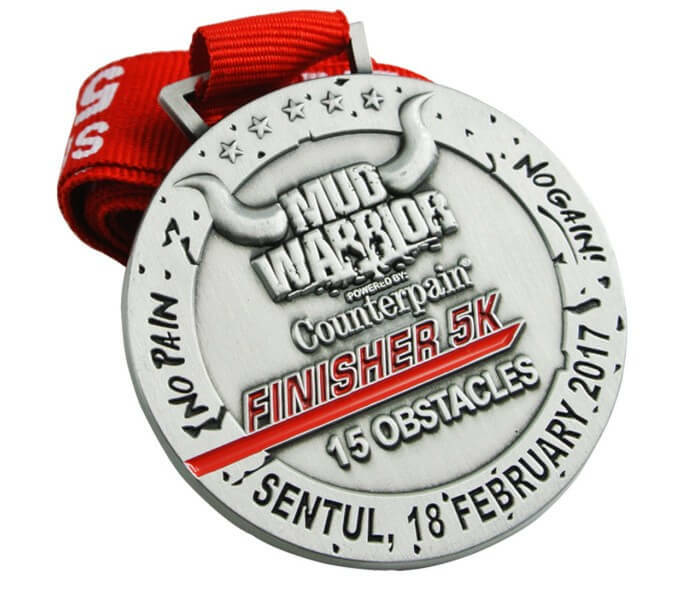 As obstacle and other specialized races grow in popularity, the ability to create custom award coins as unique as the competitions you’re putting on becomes valuable. And if your participants are throwing spears, crawling under barbed wire fences, jumping over fires, and hurling themselves down slippery wall faces, they certainly are worthy of a commemorative souvenir. We take your competitors seriously, and recognizing them with quality products is a part of that. We use only the best materials, striking your pieces in real bronze, silver, or other semi-precious metals, creating only the most pristine Spartan Race medals, obstacle course race medals, and more. Our custom race medals are as unique as the people, clubs, and companies who order them. Here’s a short list of the kinds of people who get their customized medals and running medals from us. Don’t see your group on the list? No problem. 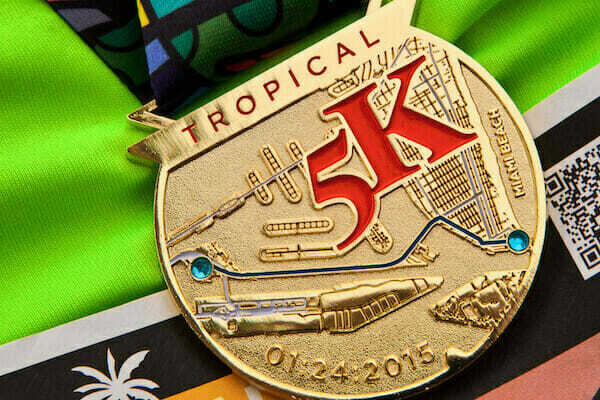 We will happily make your custom race medal. 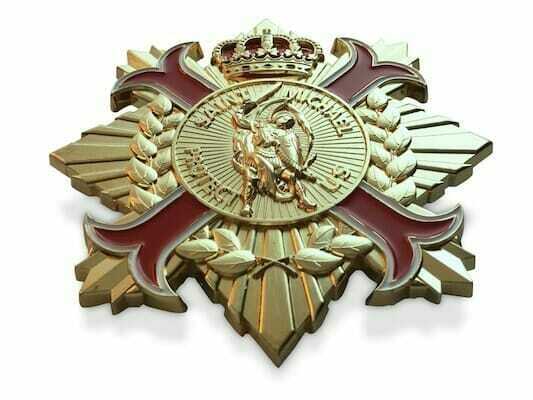 What Kind of Custom Medals Do We Make? 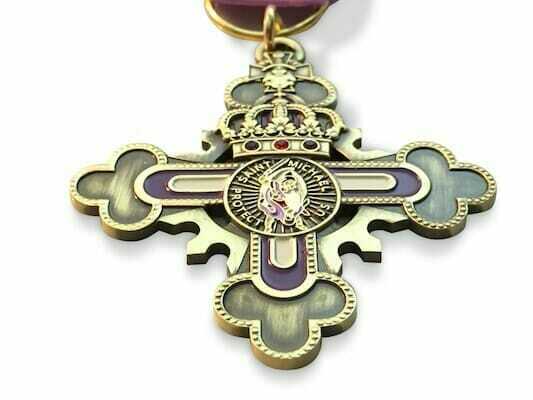 We have over ten different plating styles for a classically finished medal. From there, adding a hard or soft enamel color fill will add zest and contrast to your design. You can also combine different plating styles in one order. Can custom medals be double-sided? Yes! Each side can even have a completely different design or logo. One-sided coins can also know as medallions. Can I add a logo or create a medal from my own design? Yes, you can. Our design team is happy to take even a sketch from you to create a beautiful race medal that matches your vision. Can I see my medal before the final shipment? es, we are happy to make a sample for you to see before final production. Please let our staff know when you place your order. How long will it take to get my custom medals? Production time varies depending on the style of keychain you choose, but it normally takes between 7 to 14 working days. Rush jobs can usually be accommodated for an additional charge. Hi, this message is for Eric with the Monterey Company. I’m doing a testimonial, I'm Jen from Anchorage Alaska and this is race morning at the Alaska Women's Gold Nugget Triathlon. We're super excited about the day and wanted to give a quick little shout out to the Monterey company for putting together some fabulous and Medallions for our racers. This race, we have sixteen hundred and fifty women it's an all women' triathlon that'll happen it's May 20th and we're having a great time. This is our fourth year that we've used the Monterey Company for, rather than a medallion we decided to put together a little charm that the girls can wear he does bracelet or anklet or actually even we made it as a zipper pull, so I have some great medallions that we've done in past years and Eric has basically figured out our artwork and put it onto a wonderful little logo and a great charm for us to have a great race so thank you, Eric, highly recommend your product and you guys have delivered time and time again, thanks so much.